Born in Sydney, Australia, a childhood spent in Hong Kong, schooling in Cheltenham, England; Laura ventured to New York City where her design journey began. Upon graduation at parsons School of Design in BFA for Interior Design, Laura was awarded the Parsons Interior Design Award, leading her to a smooth transition into her professional endeavour. At Ralph Appelbaum Associates, a world leading multidisciplinary firm for museum exhibitions, Laura was involved in large scale international exhibition projects where she learnt the art of story-telling through space. Laura familiarized herself with the seamless merge of interactive media with content and space where true immersive experiences were created. Projects included Global Brand Showcase for Samsun in Seoul – Samsung D’light, Nationwide Children’s Hospital, Columbus, Ohio, exhibitions at the Zaragoza and Shanghai World Expositions. Growing up with both parents in the decorative arts business, Laura naturally developed an eye for beautiful objects. Laura furthered her education at Sotheby’s Institute of Arts, London where she completed her Masters in Fine and Decorative Arts. The curriculum allowed hands-on experience handling and critiquing furniture and ceramics from Europe and China spanning through 15th – 20th century. Her sound knowledge in the history of decorative arts brings her design aesthetics and approach to a deeper level. Between 2011-2013, Laura spent her time in China, Hong Kong and South East Asia to develop her production sources towards building her own home décor & lifestyle brand LALA CURIO. She has partnered with some of the best craftsmen in furniture and decorative arts to actualize her designs. In March 2013, LALA CURIO was launched and debuted at the International Furniture Fair Singapore where she drew industry attention with her 4000sf booth. 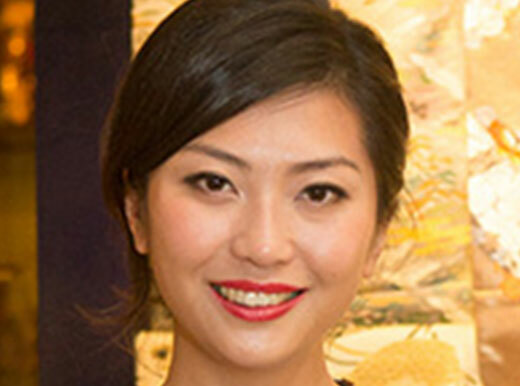 Her work has been recognized by leading home décor show Maison et Objet Paris and has subsequently been invited to design the VIP Club at the first show in Asia in Singapore. Her new collection will be featured at Le Club at M&O Asia 10-13 March 2014. Following the show, LALA CURIO will be opening two stores in Hong Kong, with a flagship at Sau Wa Fong, Wanchai and her first retail concept store at PMQ in Sheung Wan. Laura continues to design and discover the greatest craftsman to preserve and revamp forgotten crafts in decorative arts. Her passion in creating beautiful objects and curating dramatic spaces has brought her interior design projects in the residential and hospitality field.